Hi, I’m Amy from Badskirt, Jules is having issues with her internet connection, so I’m posting her tutorial for her. Unfortunately in Australia when our home internet connection goes down, it can take weeks for it to be repaired. Poor Jules has been locked out of her blog and is sorry about the delay! 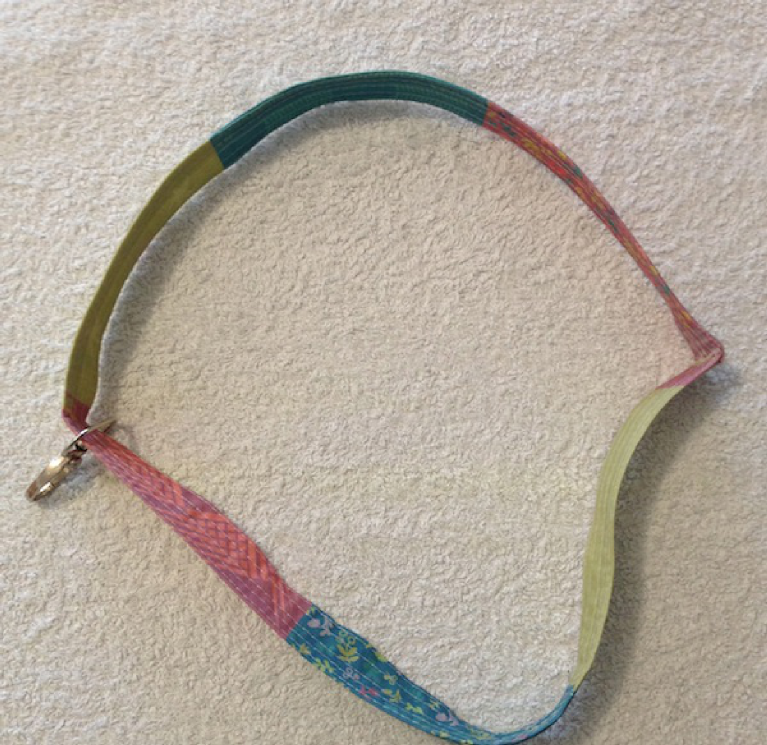 The #quiltconlanyardswap :: lanyard tutorial is available as a downloadable PDF or you can follow along here. Press your fabric in half along the length. Turn in and press a quarter inch on each edge. Open out and insert your fusible interfacing on one side. It should line up with the centre crease and tuck under one of the quarter inch folds. 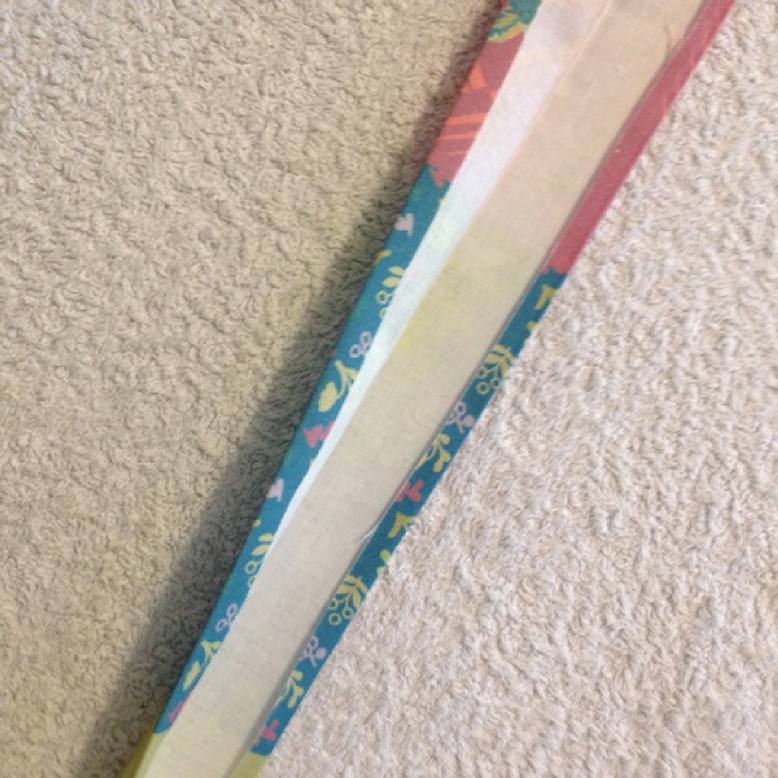 Re-fold the strip along the length and press to fuse the interfacing. 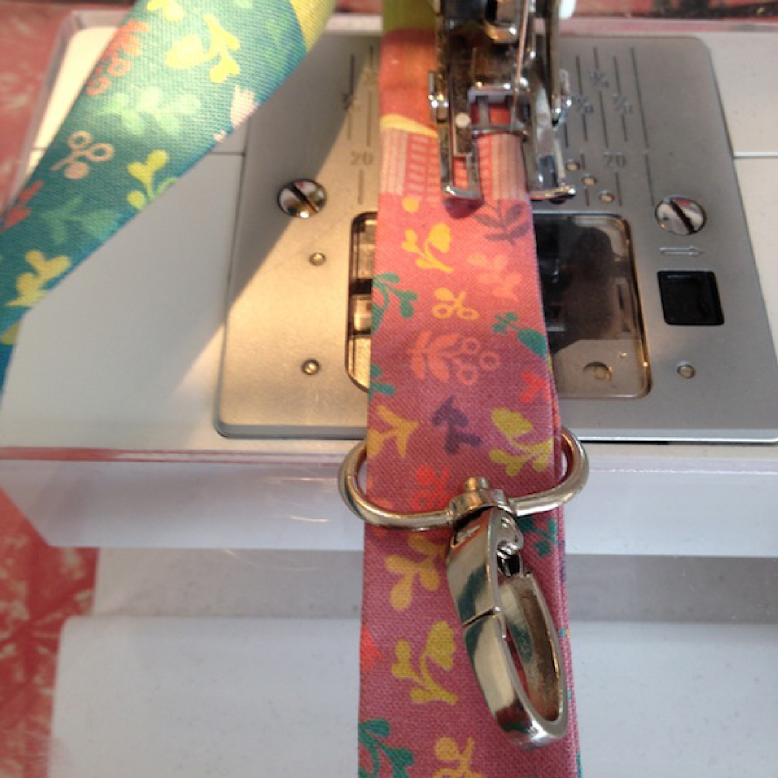 Slip the swivel clip onto the folded fabric. Now it’s time to stitch. Move the clip along and out of your way. 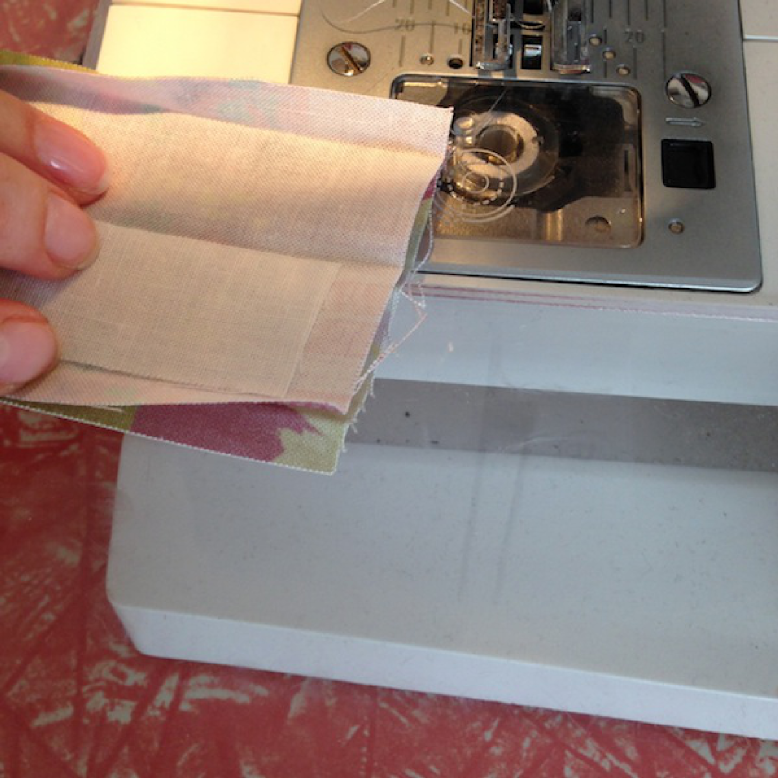 Open out the folds on the short ends and with right sides together, stitch a half inch seam. 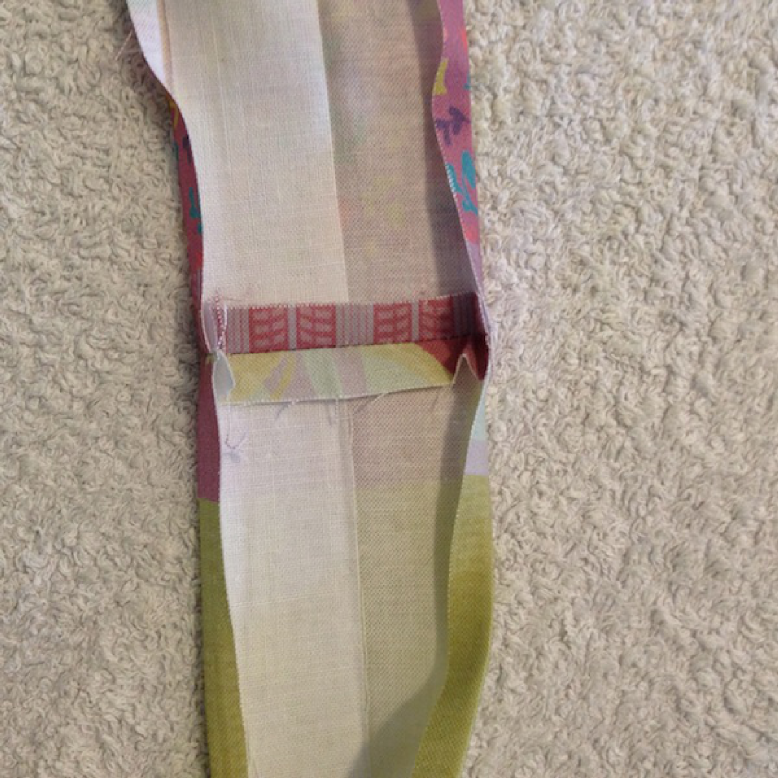 Press the seam open then re-fold the quarter inch and centre folds. Press. 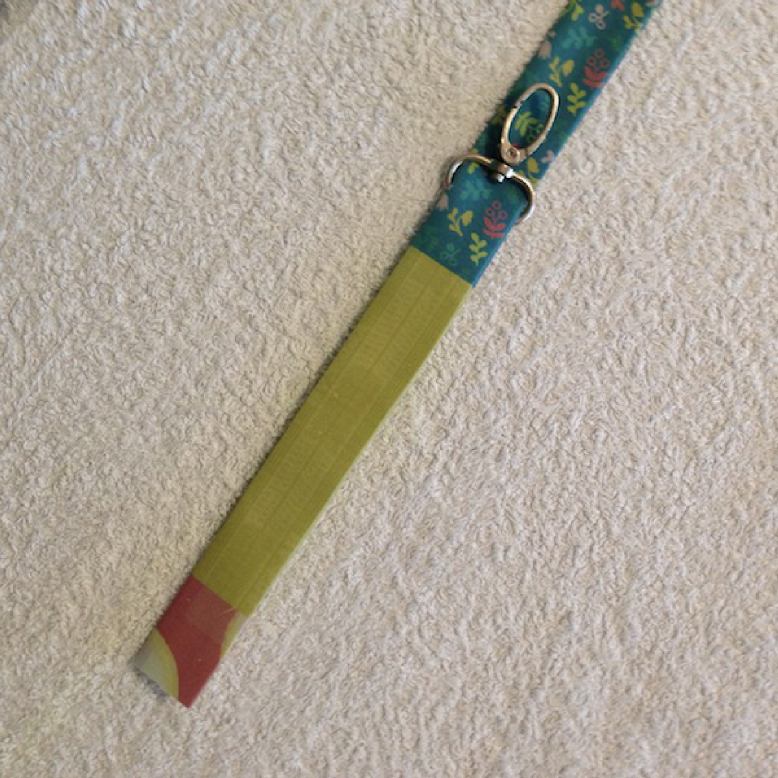 To close the long edge, topstitch an eighth of an inch all the way around, moving the clip along as you go. 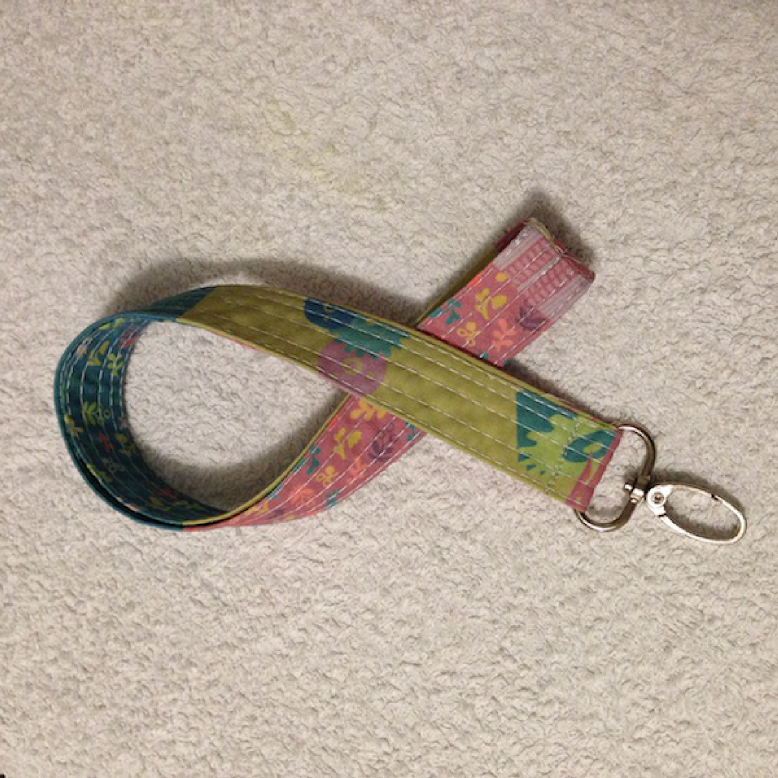 I have also quilted the lanyard for further decoration, if you want to do that, now is the time. Next, you need to secure the swivel clip. Finger press the centre point directly opposite the short seam and place the clip at this point. And ta da!!! All done!!! 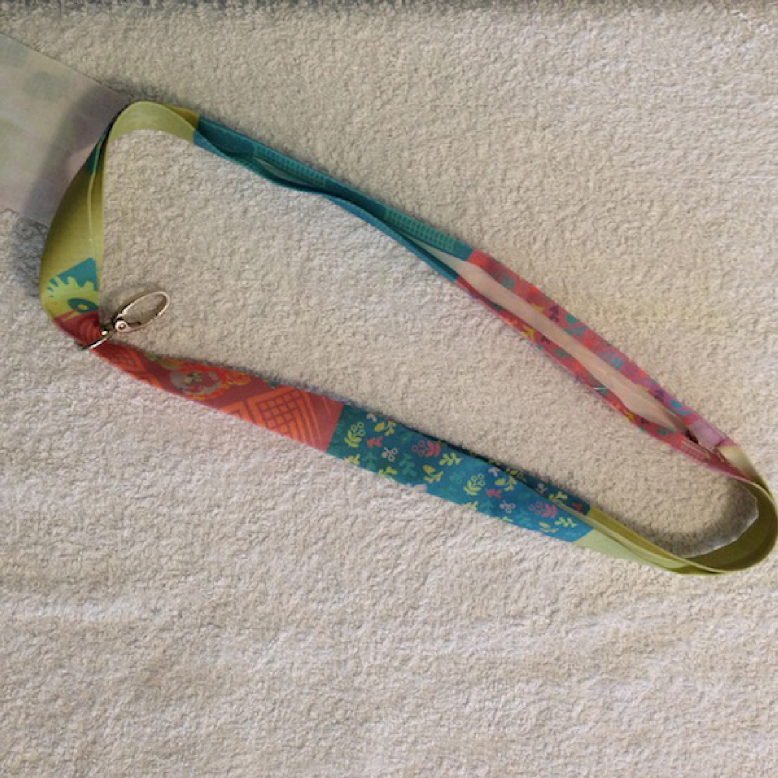 We’re looking forward to seeing all of the lanyards at #quiltcon! Happy swapping! This entry was posted in Uncategorized on December 2, 2014 by badskirt. 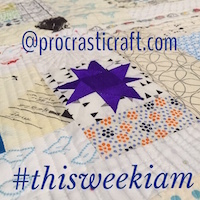 Pingback: Handmade Holidays Nov. 1: Gifts for Crafty People | Sew Mama Sew | Outstanding sewing, quilting, and needlework tutorials since 2005. 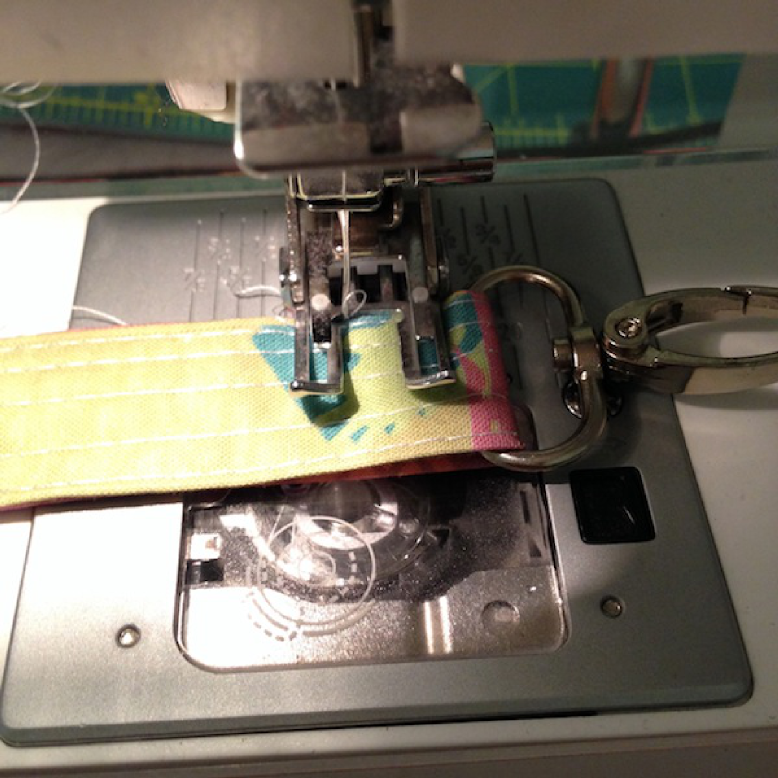 Pingback: QuiltCon Lanyards | Ants to Sugar – Quilter. Fabric Collector. Paper Piecer. Fabulous tutorial – I can’t wait to make one now!